BOOK ONLINE FOR 10% OFF YOUR STAY! We strive to use local produce in imaginative, reasonably priced dishes to create delicious, home cooked food. There are gluten free options and vegetarian choices available. We also have a specials menu which is regularly updated with new delicious meals. We have Double, Twin, Single & Family en-suite rooms available. All rooms have Showers, Freeview T.V & Radio / BT OpenZone Wi-Fi*, Hairdryer, Branded toiletries / Beverage tray including bottles of mineral water & sweets, feather pillows & duvets. We have put together a guide book in each room and there are walking guide books available for guest to borrow in the bar. The Exmoor National Park Visitor Centre is located in Dunster and they are pleased to help you plan your stay. The Stags Head Inn offers a warm welcome, local ales, Somerset ciders, and food made using local produce in imaginative, reasonably priced dishes are just some of the things awaits you. 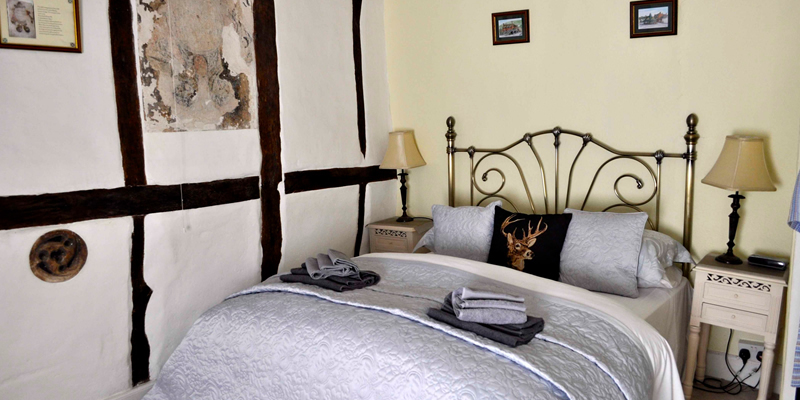 The Stags Head Inn provides comfortable and well furnished rooms for you to stay in while you are visiting Dunster. A good nights sleep in our comfy rooms will give you the energy you need. The Stags Head & Thyme Cottage are suitable for stag and hen weekends, with local ales, spirits, Somerset ciders and delicious food on offer for parties looking for a great time and a warm welcome! 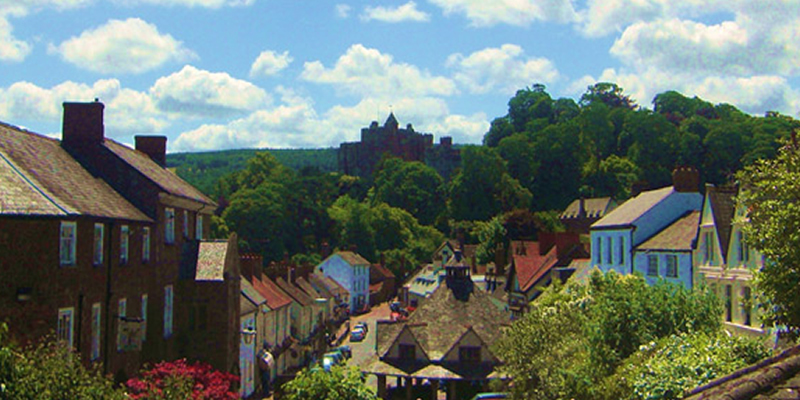 Dunster Castle is one of many wonderful and eye-catching attractions in close proximity to The Stags Head Inn. It is the perfect base for exploring the beautiful area and Exmoor National Park. A warm welcome, local ales, Somerset ciders, and food made using local produce in imaginative, reasonably priced dishes are just some of the things awaits you as you step over the threshold of this historic 16th Century inn. 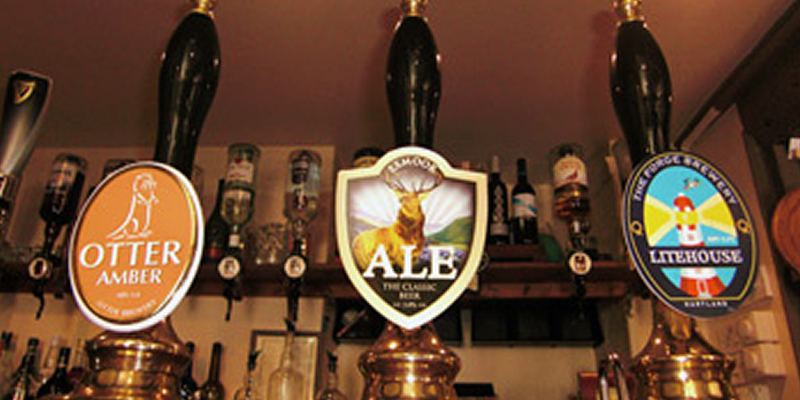 The Stags Head Inn can be found in the picturesque village of Dunster which is the ‘Jewel in the Crown’ of Exmoor National Park. Parking is available on a first come first served basis on the road. There is also a small pay and display car park based on park street which is only 300 yards away. Dunster is a perfect base for your short break or holiday with it’s wide choice of pubs, restaurants, shops and attractions. You get the advantages of staying in one of the best preserved medieval villages in England, while being able to explore the rest of Exmoor National Park and the Quantocks easily by car, bicycle or on foot. There lots to do for all age groups. We have put together an activities guide page with links to a large number of local attractions. Dunster Steam Railway Station is only a 15 minute walk away. We are close to sandy beaches at Dunster Marsh, Minehead & Blue Anchor. There are lots of beautiful circular walks beginning in Dunster. At the centre of the village sits Dunster Castle which is a Grade 1 property and part of the National Trust. The hymn ‘All Things Bright and Beautiful’ was written in by Cecil Alexander while visiting Dunster. She took inspiration from the surrounding area. Dunster castle is mentioned in the hymn and the lyrics ‘purple headed mountain, The river running by’ refers to Grabbist Hill and the River Avill which runs through the village. Copyright © 2019 The Stags Head Inn – Dunster. Created by: Unitel Direct.